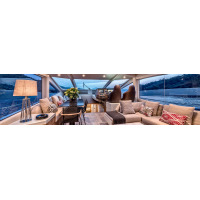 Marine Air Conditioning	There are 307 products. 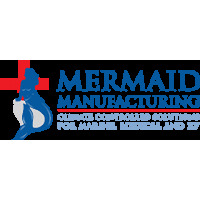 Marine Air Conditioning Units - Self-Contained, Split Gas & Chiller A/C Systems. Get an Extra 20% Off Prices Of All A/C Units (Except ECD units; price already discounted over 20%). Limited Time Only! Enter promo code "20ac" at checkout. Free U.S. Shipping! Dometic ECD16K - HV EnviroComfort Self Contained Unit 410 A, 16,000 BTU, 115V, 60Hz, w/ Retrofit Kit. 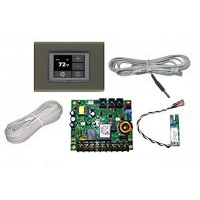 Retrofit Kit replaces your older A/C unit and control for the current model. Reverse cycle. 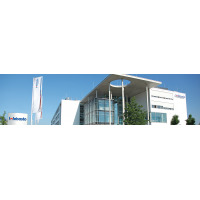 Previously sold under Cruisair & Marine Air, now merged under one Dometic brand. 1 Year Warranty. *Part Number: 207500316. Free US Shipping *Over 20% Discount Already Applied to Price. Free US Shipping! Dometic ECD10K - HV EnviroComfort Self Contained Unit 410 A, 10,000 BTU, 115V, 60Hz, with Retrofit Kit. 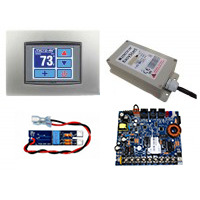 Retrofit Kit replaces your older A/C unit & control for the current model. Reverse cycle. Previously sold as Cruisair and Marine Air, now sold under one Dometic brand. 1 Year Warranty. * Part Number: 207500310 Free US Shipping *Over 20% Discount Already Applied to Price. Free US Shipping! Dometic ECD6K-HV EnviroComfort Self Contained Unit 410 A, 6,000 BTU, 115V, 60Hz, with Retrofit Kit (Unit, Cable & Control). Retrofit Kit replaces your older A/C unit & control for the current model. Reverse Cycle. Previously sold as Cruisair & Marine Air, now sold under one Dometic brand. 1 Year Warranty. * Part Number: 207500306 Free US Shipping*Over 20% Discount Already Applied to Price. Free US Shipping! Dometic ECD16KZ - HV EnviroComfort Self Contained Unit 410 A, 16,000 BTU, 230V, 60Hz, w/ Retrofit Kit. Retrofit Kit replaces your older A/C unit & control for the current model. Reverse cycle. 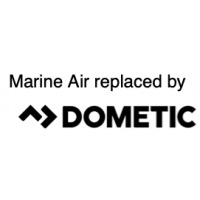 Previously sold under Cruisair & Marine Air, now merged under one Dometic brand. 1 Year Warranty. * Part Number: 207500017 Free US Shipping*Over 20% Discount Already Applied to Price. Free US Shipping! DOMETIC ECD10KZ - HV EnviroComfort Self Contained Unit 410 A, 10,000 BTU, 230V, 60Hz, with Retrofit Kit. Retrofit Kit replaces your older A/C unit and control for the current model. Reverse cycle. 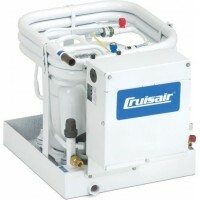 Previously sold as Cruisair and Marine Air, now sold under one Dometic brand. 1 Year Warranty. * Part Number: 207500010 Free US Shipping*Over 20% Discount Already Applied to Price. Free US Shipping! 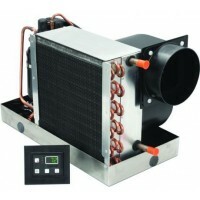 Dometic ECD6KZ-HV EnviroComfort Self Contained Unit 410 A, 6,000 BTU, 230V, 60Hz, with Retrofit Kit. Retrofit Kit replaces your older A/C unit & control for the current model. Reverse cycle. 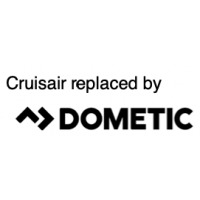 Previously sold as Cruisair and Marine Air, now sold under one Dometic brand. 1 Year Warranty. *Part Number: 207500307 Free US Shipping*Over 20% Discount Already Applied to Price. Free US Shipping!